Parkinson’s disease can make small everyday activities such as making a cup of tea feel like a mountainous task. So, how about completing a 32-mile trek over seven days to the summit of Machu Picchu in Peru, the sacred 15th-century ruins of the Incas, notorious for its tricky terrain? 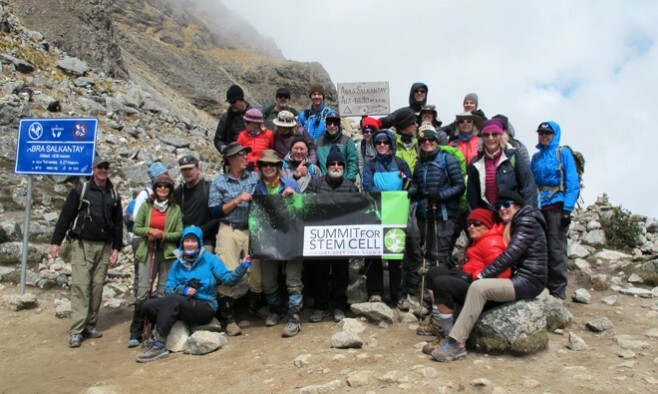 “It really takes extraordinary spirit for people with Parkinson’s to take on this feat,” says Sherrie Gould, founder of charity research organisation ‘Summit For Stem Cell: Victory Over Parkinson’s’. 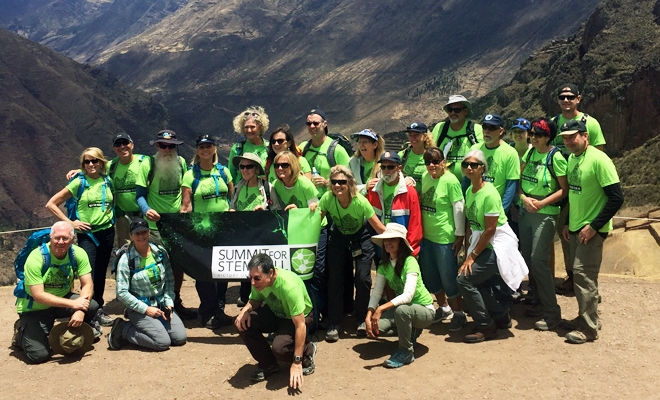 Together with 27 other campaigners – including nine with Parkinson’s – Sherrie, who is a Parkinson’s nurse practitioner, embarked on the Salkantay Inca trail to reach the top of Machu Picchu, in support of Summit’s research for new Parkinson’s disease treatments. The Summit team, along with guides and additional help from pack horses, hiked for more than 30 miles over seven days, raising over $120,000 in funds for research. “We’ll keep climbing mountains and doing incredible things until this research becomes comes to fruition and becomes a standard of care for people with Parkinson’s disease worldwide. It’s really been a privilege to spend an unbelievable seven days with a most dedicated group of people,” Sherrie adds. The group began training for the trek by going on regular hikes in the mountainous regions of San Diego, around eight months before landing in Peru. The high altitude and cold temperatures on the mountain meant that all hikers had to wrap up warm and support each other as they made their ascent. The Summit For Stem Cell project began in July 2010 when medical professionals from The Scripps Research Institute and Scripps Clinic, San Diego, CA, and the Parkinson’s Disease and Movement Disorders Center, La Jolla, CA, collaborated on research using stem cells for the treatment of Parkinson’s disease. Extensive funding was needed to support clinical trials. In 2011, Sherrie Gould decided to take a fundraising team of 15 – three with Parkinson’s – to Tanzania to climb Mount Kilimanjaro. They raised $300,000, which was enough money to initiate the first stem cell studies. They continued their fundraising efforts with charity runs, long-distance bike rides, concerts, dinners, and a climb to the basecamp site of Mount Everest in 2013. Having already raised millions during the last six years, the goal is to raise another $4.5 million for the FDA (US Food and Drug Administration) acceptance process – it is then hoped that patient-specific dopamine neurons will be transplanted into the brains of 10 pilot Parkinson’s patients. “I’ve been working in the field of Parkinson’s for 10 years. I always tell my patients ‘this therapy that we’re working on is likely to be available in your lifetime, so keep fit and healthy by sticking to your exercise regimes and you’ll end up with greater levels of eligibility for treatment,’” Sherrie adds. The team expects to begin treating the 10 pilot Parkinson’s patients with the stem cell therapy from February 2018. They are also planning to climb Mont Blanc in France and complete the Camino de Santiago pilgrimage across Europe ending in Spain. How can one join this expedition or find out about upcoming similar treks?